We have all experienced difficult seasons in our lives—times where we felt hopeless or discouraged. It is in those moments that many of us turn to our close friends and family for guidance. Unfortunately, what we have seen time and time again is that the individuals who come to us in crisis situations are not fortunate enough to have those support systems. Without that first layer of a safety net, they fall further and further. Ultimately, individuals struggling with poverty end up operating in survival mode—focusing solely on how to get through the day rather than finding a way to break this dark and demoralizing cycle. 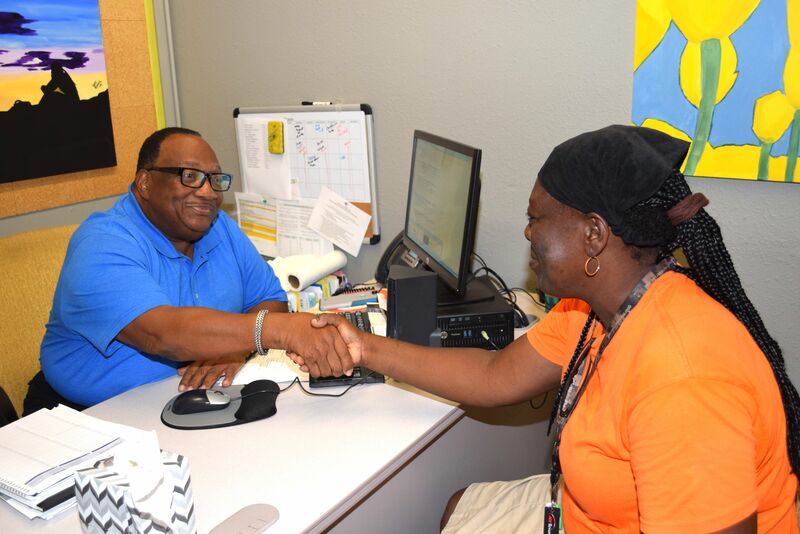 Last year, our neighbors in need turned to our Life Enrichment Center (LEC) a total of 10,729 times for crisis stabilization services. In the LEC, our experienced Crisis Navigators work alongside struggling individuals to provide the skills, resources and coaching needed to stabilize their life and work towards a permanent higher ground. Together, they create a customized action plan to determine which services and programs are best-suited to help stabilize their immediate needs and address the underlying root cause. This may include life coaching, mental health counseling, substance abuse treatment, domestic violence response, housing assessment and navigation, emergency food assistance and more. For many who have no where else to turn, these services are the difference between hope and despair.